Tales From the Bloody Bucket exclusive RPGCrate Adventure Cards and Map from Month 5 (December) Cards A, B, C, 11x17 Map & Scroll Tube. 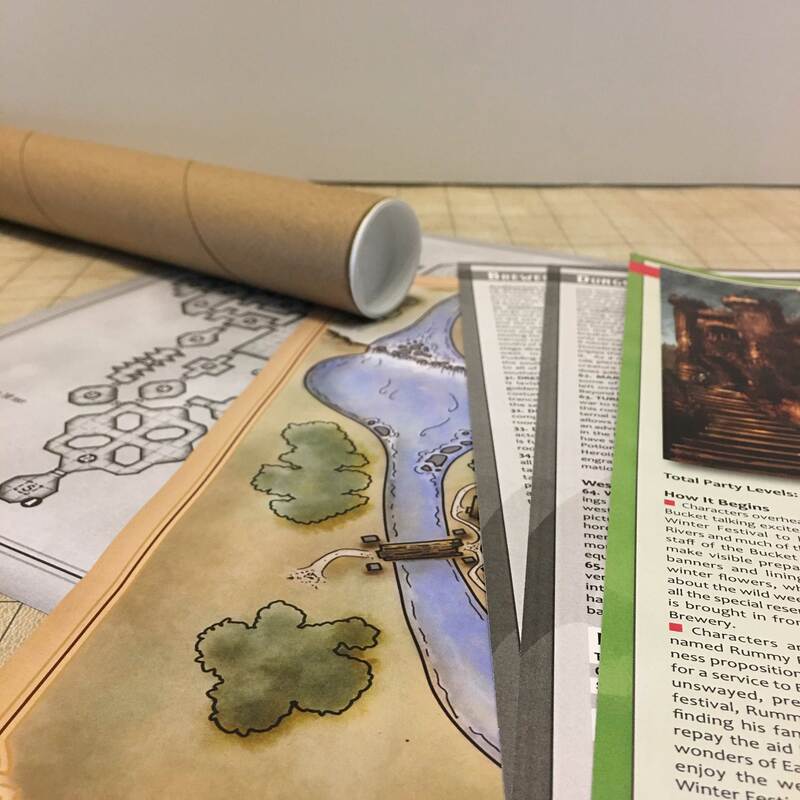 This pack includes all 3 of the Adventure Cards, the double sided 11x17 map of EastGate Brewery, and the cardboard scroll tube to hold the map. This ships in an RPGCrate box with a layer of Pick & Pluck Dragon Foam. The cards are full color front, grayscale back and printed on semi-gloss card stock. The 11x17 map is full color front, grayscale back and printed on semi-gloss premium magazine cover paper. The scroll tube is hard press cardboard with white plastic end caps.